There are certain things that are already perfect. 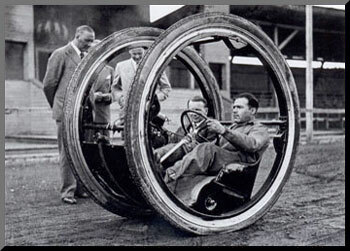 As a society, America has long been prized for it's ingenuity. The ability to envision an opportunity and creation or an improvement on a process or contraption to make things easier, faster, "better." When you throw around the term "American ingenuity" you think of names like Henry Ford, Thomas Edison and Eli Whitney. There were certainly substantial and modern additions made by the likes of Bill Gates and Steve Jobs, not inventing whole new ways of doing things but improving upon them vastly. There's a new way of "improvement" that we're seeing in the approach to everyday foods. I'm here to tell you that this has gone too far. The gourmet-izing of everyday eats is taking the form of fancy taco stands, burger joints and hot dog vendors and while I support those endeavors and love the creations and concoctions can we agree on one thing. Let's leave doughnuts alone. Doughnuts don't need improvement folks. They're already delicious. The reason that people have decided to "upgrade" burgers, tacos and the like is because they've fallen on hard times. Gotten bland, boring, bad. Doughnuts? Not so much. There is nothing that captures a slice of heaven like a simple glazed doughnut. We don't need weird meat additives odd protrusions or the combination of booze in them. They're doughnuts for god's sake. 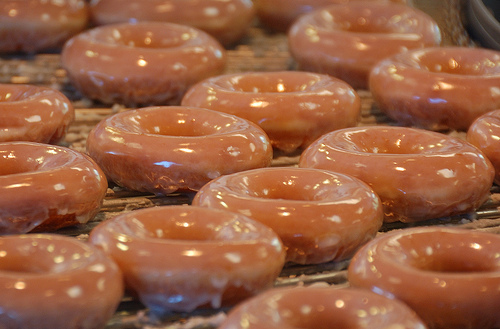 Make mine glazed and keep it simple. Today's Friday Find is the 2010 Glaze Cabernet Sauvignon which is a bit of a second label for Ross Mickel of Ross Andrew wines. In my theme of keeping things simple and true to their identity this wine does just that. 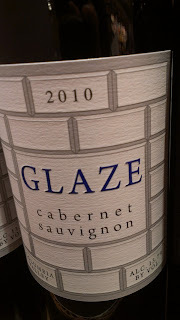 A blend of 3/4 Cabernet and 1/4 Merlot you get those chocolate and fruit aromatics that are undoubtedly Cabernet. The 2010 vintage was supposedly a royal pain in everyone's you know what, but many of the wines are impressing on release. Flavors of dusty black cherry, and measured dollops of spice make this a great everyday option at the $16 price point (I got mine at Ballard Market).